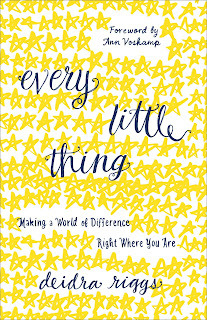 This book tells how even the smallest things in our lives can matter for the Kingdom of God. It is an engaging book with stories from the author's life. 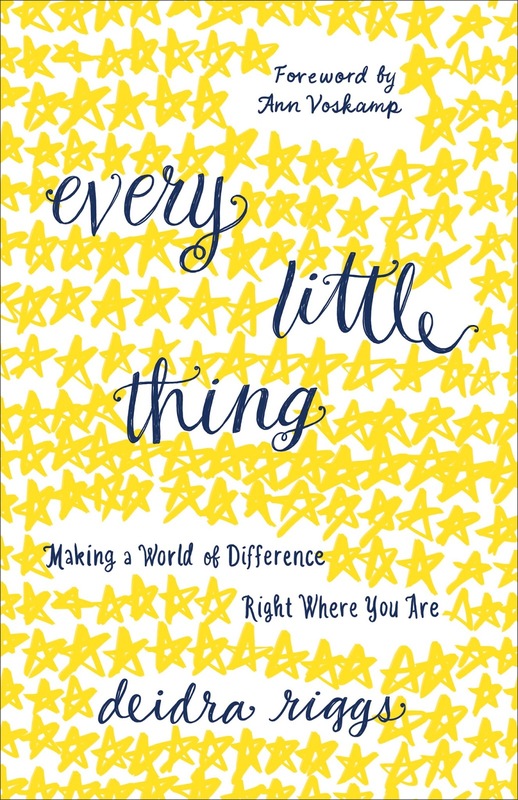 She uses her personal experiences to tie her points together to show us how she has learned to see God in the small things and how you can, too. Deidra Riggs writing style is friendly and encouraging. She elaborates on a concept I heard 20 something years ago from Henry Blackaby. God is at work around us and He invites us to join Him in that work. She lays it out simply for us that He is calling us even in the midst of our everyday lives. He wants to use us in powerful ways right where we live. She encourages us to live each day for Christ. What we read in God's word should be lived out in our daily lives. It is all written from a biblical perspective. The only qualm I had about any of it was the use of the Message instead of a more reliable biblical text to add emphasis to her points. That is a thing with me because I believe we should strive for accuracy when sharing God's word. It was not a deep theological book but more for the layperson. I liked that she encourages us to be open to being used by God wherever we are in our spiritual walk. This book was provided to me free of charge for an honest review.